Brushstroke Brickyard Vases are available in the online shop! From my first glassblowing session of the year: bringing my "Brushstroke" vases back. 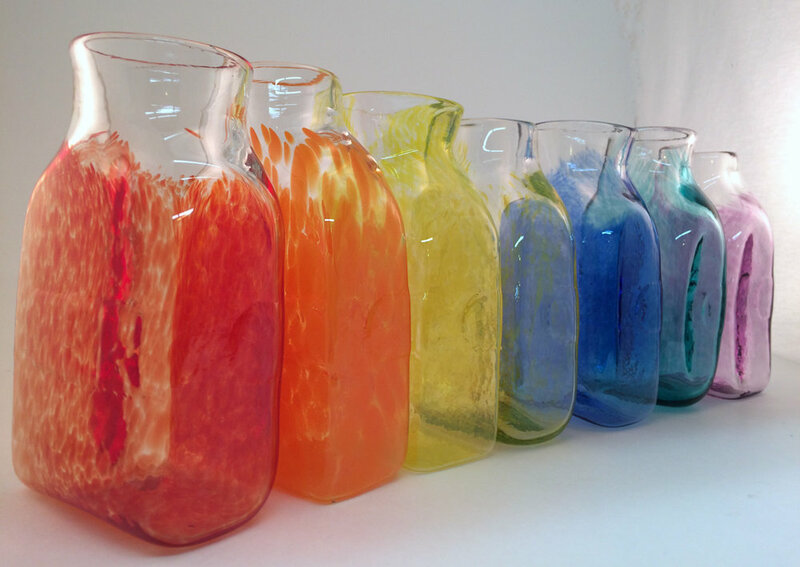 The strokes of color come from threads of colored glass pulled from hot bits that would otherwise be discarded. The patterns create themselves through heat and movement. Hello from the hot shop!